Health Informations | MedChine a.s.b.l. This formula is composed by high concentrated of active extracts from Radix Ginseng, Ganoderma and Hemp. It has: anti-inflammation, anti-tumours, and detoxification; enhance the immunity, indirect and direct inhibition of tumour cell growth and metastasis. The best gift nature provides us to boost White Blood Cell Count! Main medical function: anti tumor; enhances immunity, rises white blood cell levels. Gouqi berry (Lycium barbarum), also known as Chinese wolfberry, is renowned in Asia as one of nature's most nutrient-rich foods. The berry has been used in traditional Chinese medicine for over 2700 years. “Green Label” Gouqi Berry, dried in a natural way (not high temperature industrially force dried), thus keeping its maximum vitamin and nutrition! Available at the MedChine office. “Xia” is Prunella vulgaris, function of exclude heat, anti-flu virus, dissipate phlegm and stop cough. “Shang” is mulberry leave, function of eliminate wind-heat, fever, headache. Clearing and moistening the lungs. “Ju” is Chrysanthemum indicum, function of release ache and pain, comfort throat infection. Helping your body recover. Put it in the warm water, drink it as you want! Herbal bag is commonly use with aromatic resuscitation of Chinese herbal medicine, such as Chuanxiong, Xiangfu, Changpu, Xinyi and other natral products. The aroma of these herbs inhaled the human body, can stimulate the nervous system - secreted immunoglobulin, increased and continue to stimulate the body's immune system and promote antibody production. For influenza, epidemic meningitis and other infectious diseases have a certain kind of prevention. Red Ginseng of Korea (6 years of age at the best value) is recognized as one of the best in the world because it has over 25 ginsenosides (active components). Clinic prove, Ginseng has many medical function: strong antioxidant, anti-tumor efficacy, improve memory, heart function, increase white blood cell and dramatically anti-fatigue and enhance immunity. Morning and/or evening: take 3g of gel put in the warm water. This Innovative Micro Needle Beauty Roller is a professional effective skin perfecting tool which you can use at home. 540 surgical steel needles of 0,25 mm length will help you effectively smooth fine lines, stimulate cell functioning and regeneration, help firm up the skin texture and boost the performance of your favourite skincare. Roll it on applied area 2-3 times a week. is a traditional Chinese medicine technique that involves the burning of mugwort (moxa), a small, spongy herb, to facilitate healing and maintain general health. Mugwort, also known as ai ye (艾叶 ) in Chinese, has a long history of use in Chinese medicine. 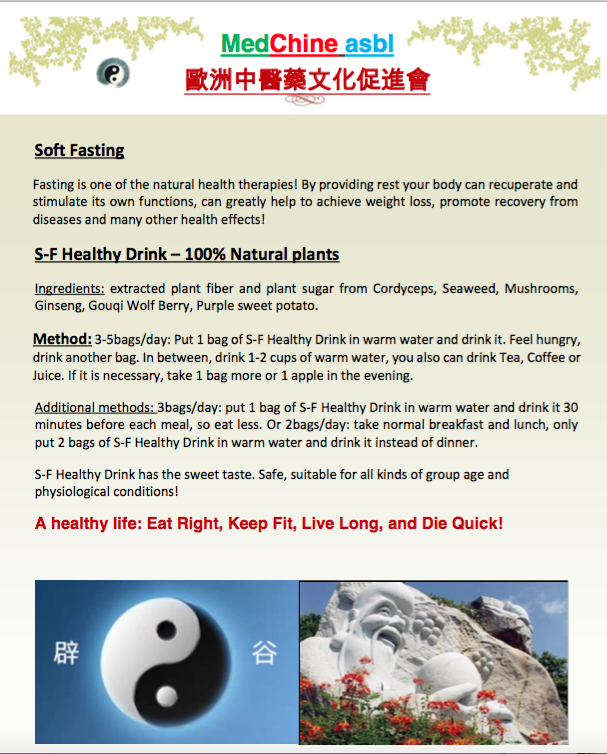 Innovative Moxibustion Paste: No fire, No smoke, Simple, Safe and Effects! This simple moxibustion patch is an alternative to fire moxibustion therapy. No Fire, No smoke, Simple, Safe and Effects! Through self - heating technology, work with the mixed herbal essential oil, infiltrate the herbal oil into body. Therefore open up the meridians, anti-inflammatory, reduce very kind of swelling, numbness, soreness and pain. In China, there is a proverb: "three dates a day, you will not be aging". Chinese call Jujube "natural vitamin pills, natural Iron tablets”. Black Rice also calls “long life rice”, “King of rice”, “black pearl”. The color come from anthocyanins and plant pigments. Rich in all kinds of nutrients: protein, carbohydrates, B vitamins, vitamin E, calcium, phosphorus, potassium, magnesium, iron, zinc and others. It helps to strengthen the immune system, improve iron deficiency anemia, and reduce the risk of diabetes, heart disease and cancer, and other effects. In fact, the "black food containing more antioxidants because of its high pigment content than lighter ones."